Island Grove dressings are unique specialty dressings developed nearly twenty years ago in the Florida Keys. 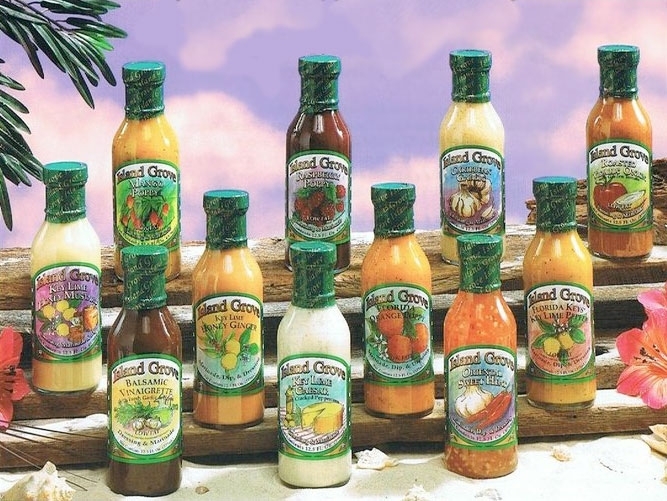 Our products are ALL Natural, Gluten Free and include fresh ingredients such as mangos, papayas, key limes, tamarinds, habanero peppers and Scotch Bonnet peppers. 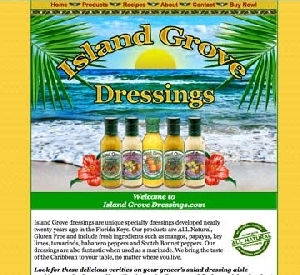 Our dressings are also fantastic when used as a marinade. We bring the taste of the Caribbean to your table, no matter where you live. Look for these delicious verities on your grocer�s salad dressing aisle and/or... order here online. Check out the flavors and find your island today!